Beautiful local crafts will be on sale, music and dancing for your entertainment and vote for your favourite trophy design for 2018 IRON MAN WORLD CHAMPIONSHIP to be held in September in Nelson Mandela Bay. 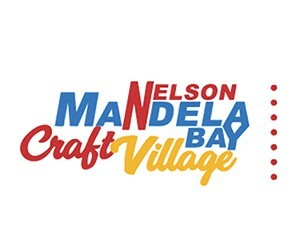 On 13, 14 and 15th of April, from 9:00 – 19:00 on the lawns in front of the Boardwalk Hotel the NELSON MANDELA BAY CRAFT VILLAGE is a craft extravaganza showcasing the spirit of Nelson Mandela Bay. Spectators at the STANDARD BANK IRONMAN AFRICAN CHAMPIONSHIP 2018 are welcome to pop in and purchase beautifully handcrafted products celebrating the talents of crafters in the Eastern Cape. On sale will be a diverse range of products from leather work, shoes, fashion, beadwork, tradition attire, ceramics, textiles and much, much more. Entertainment will be provided throughout the day by local musicians and dancers including marimba players, gum boot and traditional Xhosa dancers. Coffee is available for those you want to take a break from the action. Hang up your takkies for sundowners on Friday and Saturday from 17:30 to 19:00 with music provided by Two-Tone musicians joined by young talents from the Nelson Mandela Bay University. Alongside the competition for the top athlete for the IRONMAN race, is a competition for the top trophy design for the 2018 IRONMAN WORLD CHAMPIONSHIP to be held in September in Nelson Mandela Bay. IRONMAN competition is about outstanding excellence and local artists have been challenged to come up with their best design ideas for top IRONMAN award. Ten finalists have been shortlisted and the public are invited to come and vote at the NELSON MANDELA BAY CRAFT VILLAGE for their favorite design. Don’t miss out, make sure you come down to the NELSON MANDELA BAY CRAFT VILLAGE and be part of the spirit of the STANDARD BANK IRONMAN AFRICAN CHAMPIONSHIP 2018. Free parking is available at the main entrance of Boardwalk Hotel. Please note that on the 14 and 15 certain roads will be closed in the area. You can consult the official IRONMAN website for more information.